Brandon M. Easton – Legends Do Live! Brandon M. Easton is a prolific comic book author and screenwriter. His name graces such comic works as, ‘Andre The Giant‘, ‘Roboy‘, ‘Arkanium‘, and ‘Transformers Deviations‘ just to name a few. His television credits include, a 2017 ‘Thundercats‘ episode, and teleplays for the hit TV series, ‘Agent Carter‘. 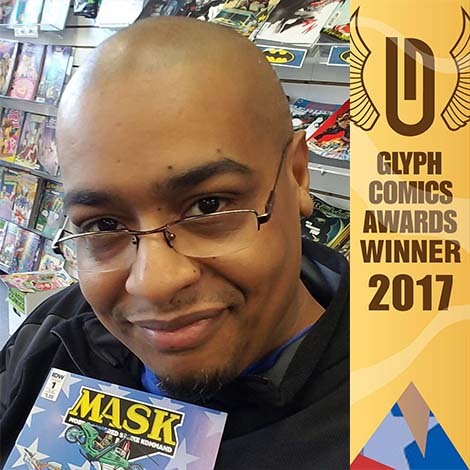 Brandon also recently received a Glyph Comics Award, for Best Male Character, in recognition of his work on the M.A.S.K. comic book series.